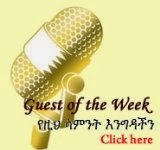 Ethiopian This Week web page, ( http://www.ethiopianthisweek.com) February 2, 2104 weekly Radio program features comment from a reader on recent interview of ESFNA Chairperson as well as discussion over Media freedom in Ethiopia ( excerpted from VOA). Click the link below. Check out some of the latest Ethiopian videos in entertainment, music, and dramas.